Assembling solar cells begins with the proper choice of substrate. 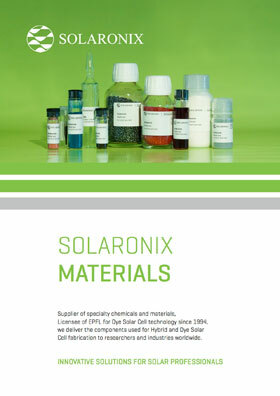 Solaronix provides a variety of conductive substrates suitable for Perovskite Solar Cells, Dye Solar Cells, or any other photo-electrochemical devices. Our fluorine-doped tin oxide (FTO) coated glasses ensure optimal adhesion of printed layers, a primary requirement for electrode fabrication. Thanks to their chemical inertness, the coated glass surface can withstand harsh solutions, making it very well adapted to a broad range of experiments. Several sheet resistivities are available, among the most conductive found on the market today. Furthermore, these glass substrates tolerate high temperature treatments without loss of conductivity. Our FTO coated glasses come in a variety of thicknesses and sizes to suit all of your needs. Conductive layer: fluorine-doped tin oxide, SnO2:F (FTO). Standard sizes: 5 x 5 cm, 10 x 10 cm, and 30 x 30 cm. Value packs of 10 and 100 pcs. available (5 and 25 pcs. for 30 x 30 cm). Customer with specific glass size requirement can benefit from our cutting service. Please inquire us with the dimensions you desire. A 188 µm thick polyethylene terephthalate film with an 18 ohm/sq indium tin oxide coating on one side. 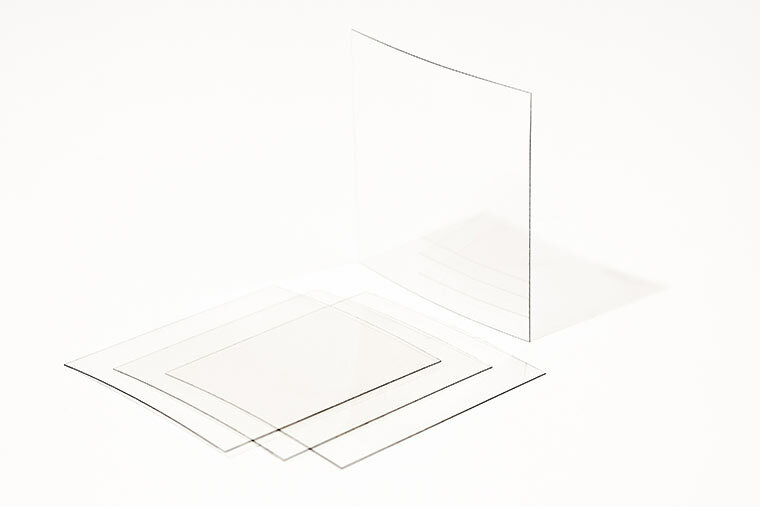 Get a fluorine-doped tin oxide (FTO) transparent and conductive coating on your substrates: ceramics, glasses, quartz, or any heat resistant substrate. Inquiries are welcome.